Upstate NY Weather is reporting that ‘Snow Developing This Afternoon as Low Pressure Approaches’. The Duke Company’s Rock Salt barn in Rochester NY will be open to assist you in preparing for inclement weather. Our Wholesale Road Salt facility will be open today, Saturday – January 3 2015, from 3 p.m. to 7 p.m. EST. We will also be open on Sunday, January 4, from 5 a.m. – 10 a.m. EST. Whether your needs are to purchase bulk rock salt by the ton, truckload, pallet or bag, The Duke Company is available to assist municipal, commercial, industrial and residential customers. Count on The Duke Company for the best bulk and wholesale pricing and fastest delivery through-out NY including Binghamton NY, Buffalo NY, Ithaca NY, Rochester NY and Syracuse NY. 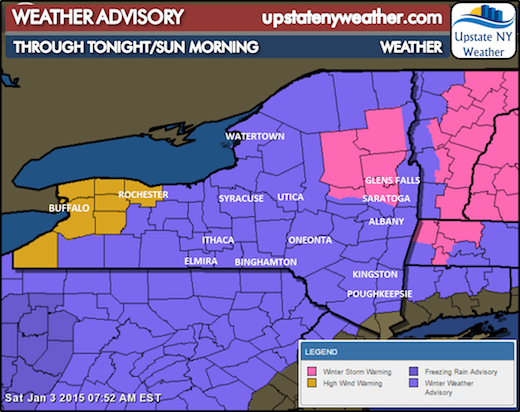 To read, ‘Snow Developing This Afternoon as Low Pressure Approaches’ on the Upstate NY Weather web site, click here.